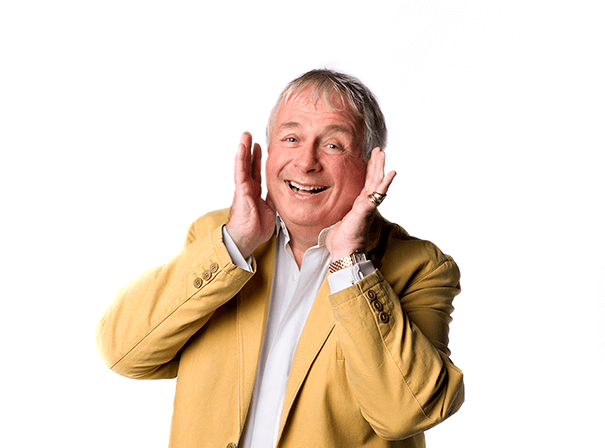 English actor and media personality Christopher Biggins is available for a range of corporate events, public appearances and endorsement engagements. Something of a British treasure for his affable charm, the Oldham born man has been an ever-present character on British TV and on the theatre circuit. Acting in productions such as Molière’s Le Médecin malgré lui – his first role back in 1965 – he has also appeared in films including The Rocky Horror Picture Show in 1975, Jesus Christ Superstar, and performed for more than a year in the stage adaptation of Chitty Chitty Bang Bang at the London Palladium. In 2008 Biggins also worked for a brief time on a Sunday morning radio show for BBC London, with other TV work including playing himself in the BBC Two sitcom, Psychoville, as well as regular gigs include hosting West End Live in London’s Leicester Square. In 2012, the former Children’s game show host was cast in the film version of Ray Cooney’s farce Run For Your Wife. Most well known now for his performances in pantomime, Widow Twankey has been his most popular role in the traditional British panto’, Aladdin, as well as the character Buttons in Cinderella. As a result of this, Christopher Biggins is a very popular personality who undertakes many public engagements each and every year. Call up one of our agents now to secure his booking.